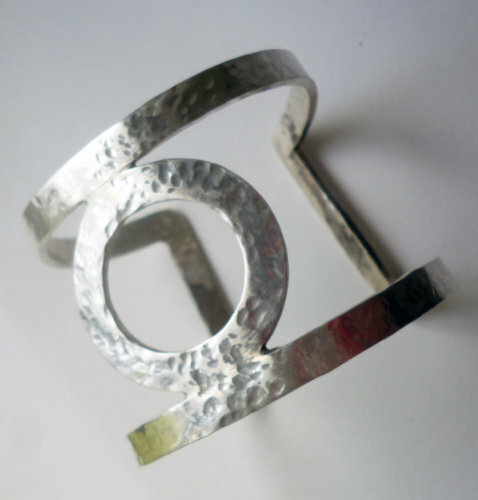 Silver bangle which has a lovely hammered shimmering effect. Made to fit snugly around my client's wrist. Hammered effects also make bangles more wearable. You can bash it about and it just improves.